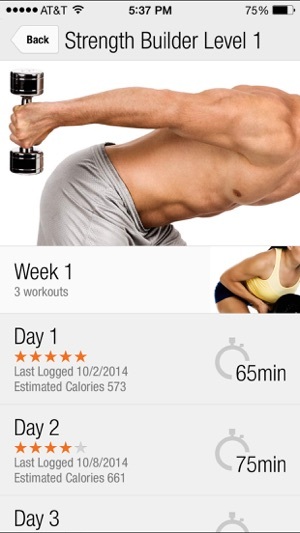 Completely rebuilt from the ground-up, FitnessBuilder 5 is here! This comprehensive fitness experience is *the* portable personal trainer that completely guides your fitness lifestyle. FitnessBuilder 5 is for everyone, whether you are new to fitness or a seasoned veteran. It’s also the definitive app for fitness professionals, coaches and physical therapists. FREE: Fitness Enthusiasts can create a free account and get access to over 400 workouts in 16 multi-week fitness plans as well as a complete body stat tracker. There are no ads or automatic subscriptions to use and keep Free access. Enjoy! PLUS: Upgrade to Plus access and unlock the full fitness library of over 1,100 workouts and use Builder, where you can create your own workouts using over 7,000 exercise images & videos. A Plus subscription allows you to receive workouts from trainers, ask Fitness Questions, generate Workout PDFs, create your own My Exercises and more. *The Plus access subscription is offered either for $6.99 USD Monthly or $59.99 USD Yearly and is an auto renewable subscription. PRO: If you are a FITNESS PROFESSIONAL, Pro access is the ultimate training tool for you. Keep records of your clients, their workouts, logs and body stats for both in-session paperless tracking and Remote Training. You can share workouts to clients with Plus to digitally receive and track those sessions, and their logs will SYNC BACK to you for review. Clients without Plus receive your workouts as a PDF link with clickable videos, Add your OWN LOGO and really personalize the training experience. Full syncing web version is included. *The Pro access subscription is offered either for $39.99 USD Monthly or $299.99 USD Yearly and is an auto renewable subscription. PT: PHYSICAL THERAPISTS and other rehab specialists get access to everything Pro offers in addition to hundreds of rehab exercises, for a total of 1,400+ rehab exercise images & videos and 350+ recovery protocols (in addition to the fitness library). Build custom rehab protocols with PT access to track & share with patients. The Remote Rehab compliance monitoring also allows therapists to receive patient feedback helping to increase recovery rates. *The PT access subscription is offered either for $49.99 USD Monthly or $399.99 USD Yearly and is an auto renewable subscription. 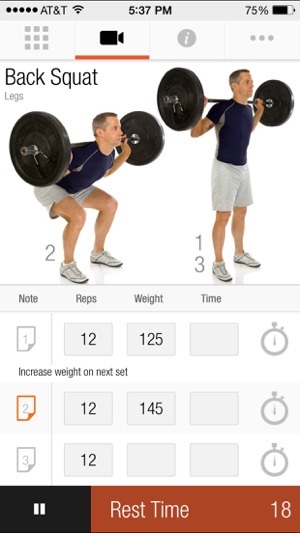 FitnessBuilder contains over 1,100 hand-made workouts covering all fitness levels and disciplines. 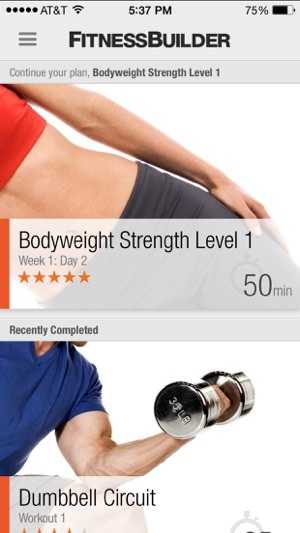 Each workout is mapped with Next Workout intelligence that recommends the next session for you. Once you start a plan, FitnessBuilder keeps you on track. 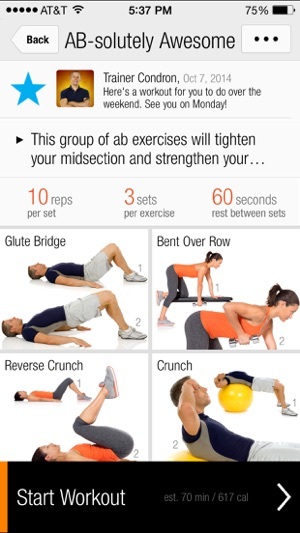 FitnessBuilder is also available on your mobile device, tablet and computer browser, all staying in sync for anywhere access. Schedule workouts in the future, receive scheduled workouts from trainers and get guided on month-long programs. With HealthKit support, when you complete a workout log, FitnessBuilder will ask your permission to use your body weight, workout difficulty and duration to calculate the estimated caloric burn, and post it to the Health app as a workout. FitnessBuilder 5 supports HealthKit for tracking workouts, your estimated calories burned and your My Stats body measurements. Payment will be charged to your iTunes Account at confirmation of purchase. Subscriptions will automatically renew unless auto-renew is turned off at least 24-hours before the end of the current period. Your iTunes account will be charged for renewal within 24-hours prior to the end of the current period, and identify the cost of the renewal. Subscriptions may be managed by you and auto-renewal may be turned off by going to the your Account Settings after purchase. No cancellation of the current subscription is allowed during active subscription period. Any unused portion of a free trial period, if offered, will be forfeited when you purchase a Plus Pro or PT subscription. 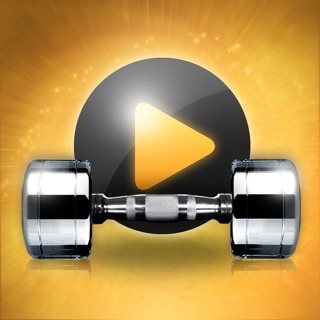 Value for Money.. so würde ich die App FitnessBuilder beschreiben. Die Pro Version (inapp kauf) bietet hervorragende Unterstützung bei der Auswahl von Workouts, bei der Zusammenstellung, Erfassung und Auswertung. Die App bleibt dabei übersichtlich und wirkt trotz vieler Fuktionen nicht überladen. Videos für Anfänger, eine unglaubliche Anzahl von Übungen und die Möglichkeit die Erfassung von Workouts komfortabel zu personalisieren veranlassen mich volle Punktzahl zu vergeben. Sehr viele Übungen. Man kann eigene Pläne erstellen und tracken. Zudem kann man sich für jede Übung Erklärungsvideos ansehen. 2.) Noch viel mehr Übungen bekommt man nur mit einem Plus-Abo welches extra kostet. Da das Programm trotz allem Top ist gibt es von mir die volle Punktzahl.